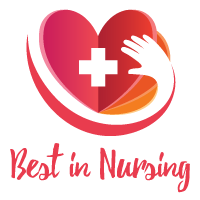 The American Health Council proudly announces the election of Andrea Hartong, CNOR, CLNC to their Nursing Board for her examples of healthcare excellence. For the past 20 years, Ms. Hartong has been an Operating Room Nurse and is currently a Safety Coach at Silver Cross Hospital. Silver Cross Hospital is dedicated to meeting the healthcare needs of all people. Committed to a culture of excellence, and delivery of unrivaled healthcare experience, Silver Cross Hospital utilizes the latest in medical technology reducing unnecessary transfers and the risk of infection and injury. With 29 years of medical knowledge, Ms. Hartong has exceeded her capabilities in Healthcare, Patient Safety, Process Improvement, Clinical Services, Patient Care. In pursuit of her education, Ms. Hartong attended St. Joseph’s Hospital School of Nursing. She obtained her current certifications in 1983 and has been using her education to provide each of her patients with high-quality care ever since. When choosing her career path, Ms. Hartong felt she wanted to incorporate her love for science and the passion she had for helping others. She chose to enter nursing because that career path offered everything she could ever hope for in a career. The success that Ms. Hartong has accumulated throughout her career can be attributed to her own dedication and work ethic, paired with the support she has received from her loving family each day. Daily responsibilities for Ms. Hartong, include the assessment of her patients, planning their care, maintaining patient safety in the perioperative setting, and evaluating the nursing care that takes place in her operating room. She both circulates and scrubs in for surgical procedures. Among the many accomplishments she has gained throughout her career, Ms. Hartong is most proud of her Certification in Perioperative Nursing. To keep abreast of the latest advancements in nursing, Ms. Hartong has become a member of numerous associations such as the American Nurses Association, the National Alliance of Certified Legal Nurse Consultants and the Association of Perioperative Registered Nurses. Additionally, Ms. Hartong mentors newer nurses with an emphasis on communication and patient safety in the operating room environment. In the upcoming years, Ms. Hartong would like to expand her education in healthcare and help build and sustain a high-reliability organization with respect towards patient safety. In her spare time, she enjoys cooking and reading. Silver Cross Hospital is dedicated to meeting the healthcare needs of all people. Committed to a culture of excellence, and delivery of unrivaled healthcare experience, Silver Cross Hospital utilizes the latest in medical technology reducing unnecessary transfers and the risk of infection and injury. 10 years in current role, 29 years in the healthcare industry. Expertise in Healthcare, Patient Safety, Process Improvement, Clinical Services, Patient Care.